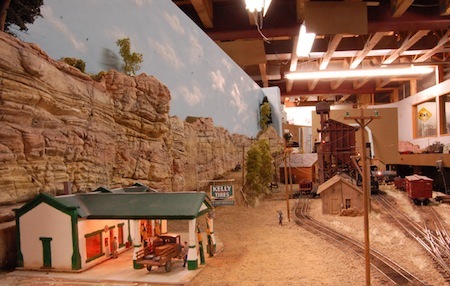 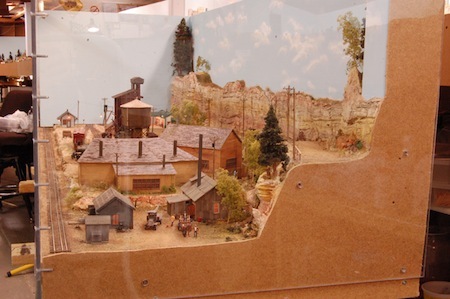 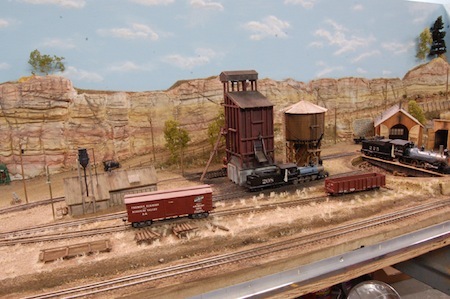 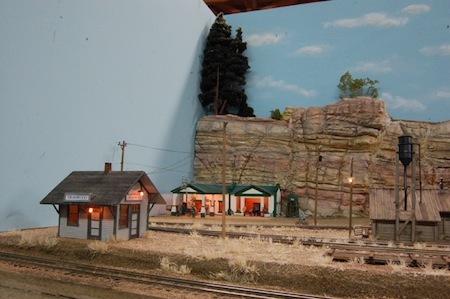 The Northern Hills Railway Society, located on Main Street in Deadwood, South Dakota, has just added a new window display to its attraction. 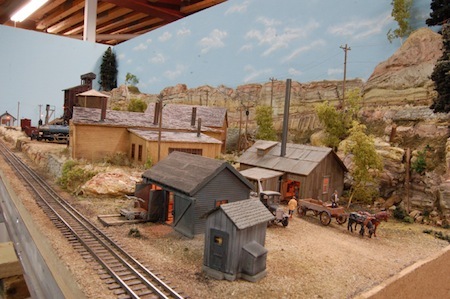 The display is an early replica of Deadwood consisting of 1902 round houses and the Fremont Elkhorn and Missouri Valley Railway. 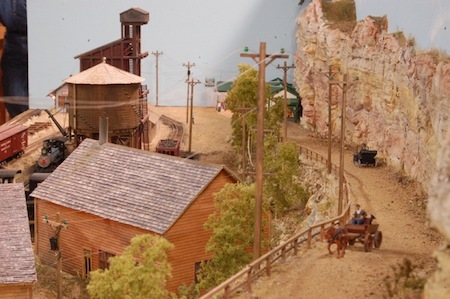 The Auer service station, which was located close to the round house, is set at the date of 1925. 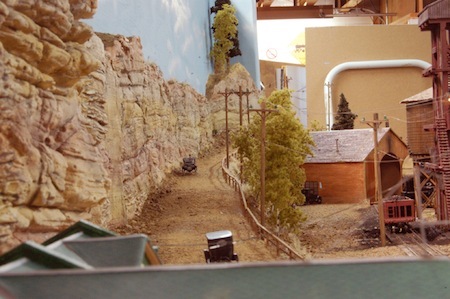 Part of the Auer service station still stands and was being restored until a record snow fall destroyed part of the structure. 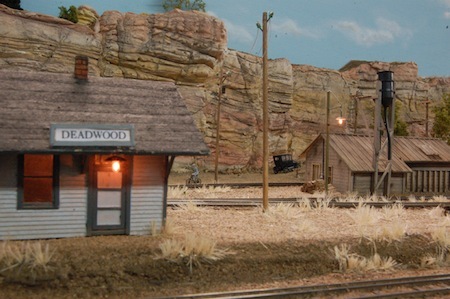 The round houses, sand house and service station were scratch built. 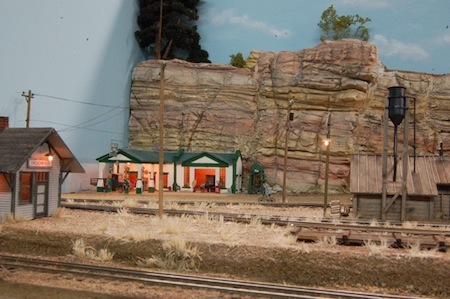 This display was built by Jack Anfinson. 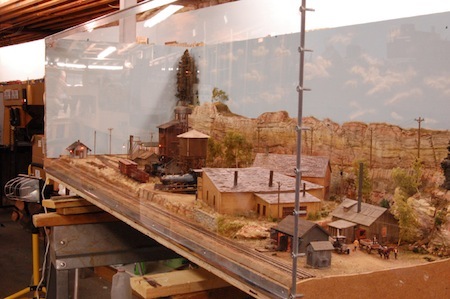 It took me six months to complete the 24” X 72” enclosed display.